With Child: A Guest Post Series. The response was overwhelming. Granted, it took a few days. They are all mothers, after all. Each one has a lot on her plate. Those first few days were full of sweaty-handed waiting and continuous phone-checking that would rival any junior-high girl with a serious crush. After more than a year of praying and thinking and dreaming, I was waiting. Waiting to see if anyone’s heart had ever felt the same way mine did. All I had done for months was hope & pray, and once I hit that red send button, there was little I could do but hope & pray some more. It has been a long time in the making- the gathering of these momma hearts. In different and deep ways, the stories these women are living flood my heart with grace, tug me closer to Jesus, make me a better mom, a better friend, a better wife. It’s no secret that just a simple Google search will return an overwhelming amount of articles, videos, and websites that might lead us to believe being a momma is actually about the kind of diapers we use, or about how we feed our babies or clothe our babies or birth our babies, or about how many hours we spend at home or at work. 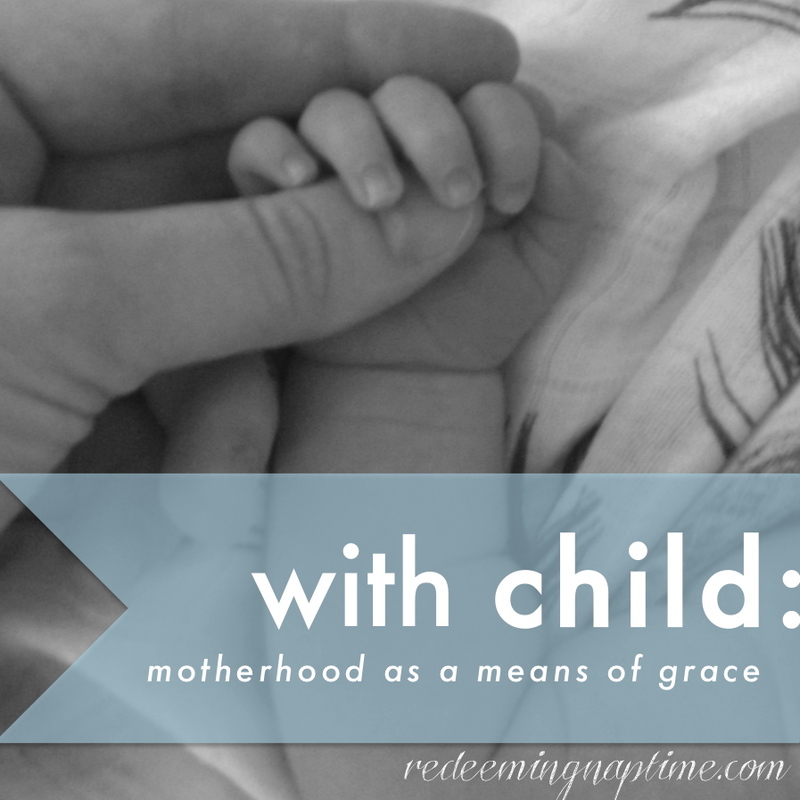 I’m beginning to believe that I’m not the only one who forgets that motherhood is mainly about Jesus. How he makes us more like him. How he makes our children more like him. How he makes his name famous. How he accomplishes his mission in the world. How he allows our families to participate. Over the next ten weeks, you are invited to join us as we tell a different story about Motherhood, as we look for Jesus, specifically in the journeys we take into motherhood. Each of these sweet women are going to share different stories of the ways that the Lord has used the journey into motherhood to make them more like him, to illuminate the gospel, and to glorify himself. I am so excited to introduce these women to you and to share their stories with you. We are excited to see what the Lord will do with these stories. Each of the next ten Tuesdays, will you join us with a cup of coffee and discover the Jesus in our stories?